Ensuring adequate resources for an organization is a board responsibility. This naturally involves board oversight of fundraising. Although many of the fundraising activities will be conducted by staff, the board must provide leadership and direction for the organization’s fundraising. Many boards are reluctant to provide leadership in this area because they fear they lack expertise or simply don’t know where to start. 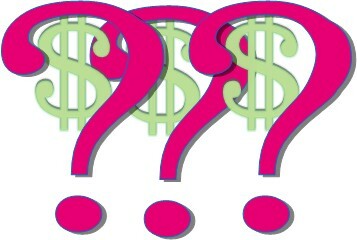 Here are a few basic questions boards can ask to better understand the organization’s fundraising efforts. A fundraising plan goes hand-in-hand with the budget because it outlines how the money to run the organization will be raised. Most organizations have a variety of funding sources, including grants, earned income, and private contributions. Developing a detailed plan helps the board and staff confirm that the budget and funding goals are realistic and attainable given the organization’s capacity, its funding activities, and the number of current and prospective donors. A fundraising plan describes the methods (mailings, events, asking people directly) that will be used to raise funds, the goal for each fundraising activity, and who is responsible for leading the activity. In discussing the organization’s fundraising methods, the board should ensure that the methods and approaches are appropriate and consistent with the organization’s values. The goal for each activity must be realistic, with the amount based upon previous experiences or other objective criteria. Identifying the person responsible for leading the activity is a critical component to ensuring follow-through and accountability for the plan. In some organizations, fundraising plans are designed by the development staff. In smaller organizations, the plan may be developed by the chief executive and presented to the board for further discussion and ratification. However it is developed, it is important that the organization has a written fundraising plan, that the board understands it, participates in its implementation, and tracks the plan’s progress, making adjustments when necessary. Without a plan, it’s difficult to coordinate the activities necessary to efficiently raise funds. How much will it cost us to raise the money? Events are one of the most popular methods to raise money, yet they are a high cost, labor intensive approach to fundraising. Too often, the board and staff are swept away by the prospect of the revenue and visibility that an event can bring, and neglect to look at bigger picture of the costs—in time, energy, and money—associated with producing a successful event. As part of its oversight role, the board must understand the event’s projected net income and not simply focus on its potential revenue. In addition to considering an event’s fundraising potential, the board may also want to consider the event’s friend raising opportunities and develop measurable goals for these as well. Determining how much it costs to raise the money and setting specific fundraising and friend raising objectives may help the organization control event expenses, work harder to raise money from sponsorships and other activities before the event, and follow-up with potential new supporters after the event. Do we have a strong donor base? For an organization to grow and thrive, it must have a strong donor base. Fundraising activities must be balanced between those that bring in new supporters with those that retain past donors of the organization. Loyal supporters tend to increase the size of their gifts over time, which helps grow the organization’s fundraising income. It’s important to regularly attract new donors to replace those who naturally stop supporting the organization because their giving priorities change. The board should regularly review donor information, including the number of continuing donors, the number of new donors, and the average contribution amount. It should evaluate what works to engage and attract donors, and what activities may need improvement. Using this information, the board and staff can refine and develop future fundraising activities to build and strengthen its donor base. Just as the board takes responsibility to develop, ratify, and oversee an annual budget, it must also provide leadership and oversight to ensure that the organization is bringing in the resources it needs. Asking these basic fundraising questions can help the board get the information it needs to understand the organization’s fundraising programs and activities, to identify where improvements can be made, and to lead the organization to greater success in fundraising. This first appeared in the Corridor Business Journal.